Personal Liability in the Homeowner’s Insurance Policy | NuAlliance Insurance Group, LLC. Owning or renting a residence has a certain amount of risk associated with it. 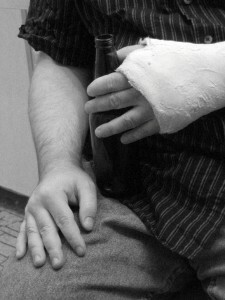 Anyone who visits your residence can become a plaintiff in a lawsuit against you if they are injured at your residence. Also, resident employees such as Nanny’s or Caregivers may present a certain amount of risk as well. Oh but our Nanny or Aunt Jane would never bring a suit against us, oh really? What if Aunt Jane breaks a hip after falling down your stairs because the carpet covering them happens to be loose? Would she get advice from an attorney to sue your insurance company? Of course she would. This is why personal liability protection is built into the homeowner’s and renter’s insurance policy. When a personal injury lawsuit is brought against a homeowner, it is not for just the cost of medical care. In most cases the remedy sought is for medical bills both current and future, pain and suffering, and lost wages. This can in many cases, amount to tens of thousands of dollars. Without the proper coverage offered by your insurance policy, the cost of legal fees alone can be financially devastating. All standard homeowner’s insurance policies offer some personal liability coverage. Most companies offer $100,000 in coverage included in the standard policy. For an additional premium, usually about only $25 per year, the limit can be increased to $300,000. Most insurance companies have a $300,000 maximum on this coverage but there are several that will go as high as $500,000. What limit is best to purchase? Consider first what the liability protection is for. If you or a resident family member is named in a lawsuit for personal injury, what is the value of your assets that can be at risk? For many people that may be a low amount. For others, the amount may be much larger if they own a considerable amount of assets. Also, the homeowner must take into consideration the cost of their defense. Good attorneys are expensive and a case may drag out for a year or more which can run legal expenses into the tens of thousands of dollars. The personal liability coverage in the homeowner’s policy includes a duty of the insurance company to defend the insured if a lawsuit is filed against them. If the insurance company’s legal team feels they have a winnable suit then they will most certainly defend you and force the plaintiff to pay all legal fees. If not, then chances are probable that a settlement will be made on your behalf. What if I need more than $500,000 in coverage? Many people do and that is why the insurance industry provided an umbrella policy. This policy is purchased in limits of $1,000,000 to $5,000,000. Its purpose is exactly what the name suggests. If your limit of personal liability on your homeowner’s policy or auto policy is breached, the umbrella kicks in to pick up the balance. Most umbrella policies require at least $300,000 in coverage from the underlying (homeowner’s and auto insurance) policy. You can think of this as a deductible for the umbrella policy and the homeowner’s or auto policy fills the gap. Anyone who has assets that amount to $300,000 or more should consider purchasing an umbrella. The cost is very reasonable and the peace of mind is priceless.